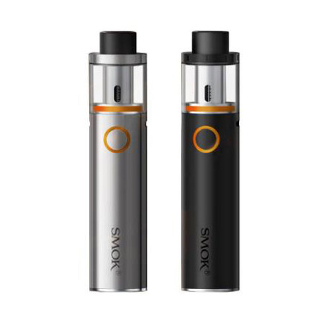 The Smok Vape Pen 22 Starter Kit was designed for vapers looking for a pen style all in one vaping unit. It has a built-in 1650mah battery that utilizes direct output voltage. It features a one button design with a battery life indicator. The top fill design is easy to use and features dual airflow slots. It comes with a micro USB cable for ease of charging.